In the historic Spanish city of Girona, space is hard to come by. 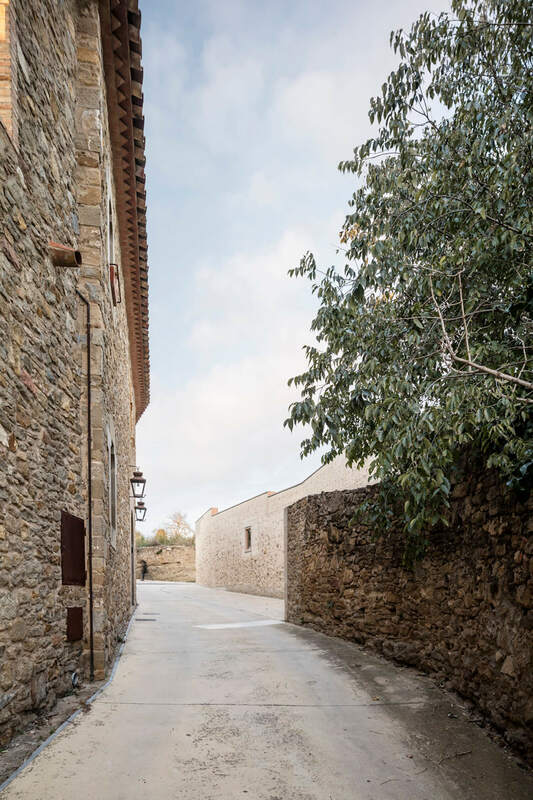 Located in the northeastern Catalonia region, the city offers many traditional buildings, but when current regulations made it compulsory to extend the width of a street home to an untouched residential estate, creative solutions were required to preserve its traditional foundations while significantly re-contextualising the block. 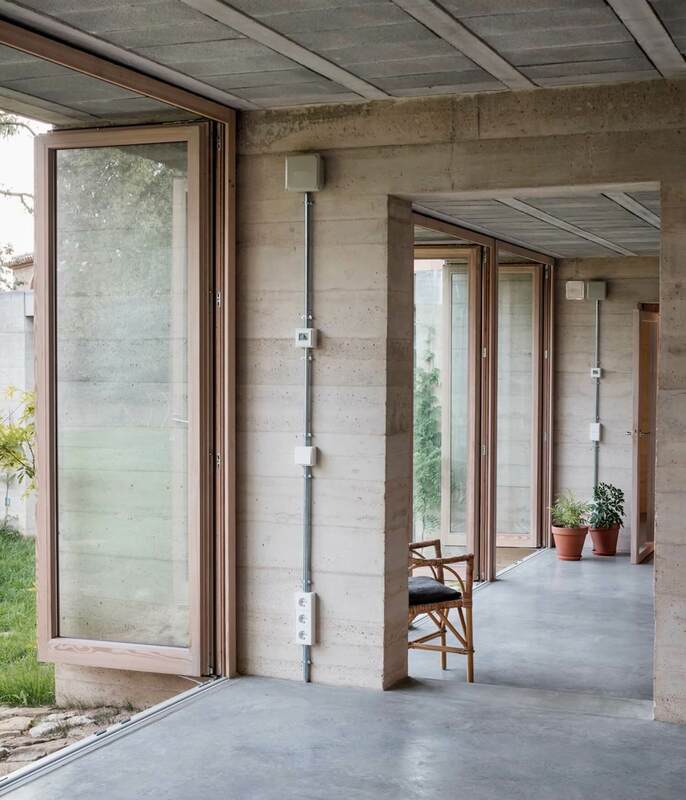 Luckily, Spanish studio HARQUITECTES have taken to the challenge with creativity and practicality, creating a solution sure to please both the residents and their neighbours. The defining feature of the historic block had been its traditional stone wall-fence, but unfortunately this was one of the key elements to be reworked due to the widening of the street it was located on. 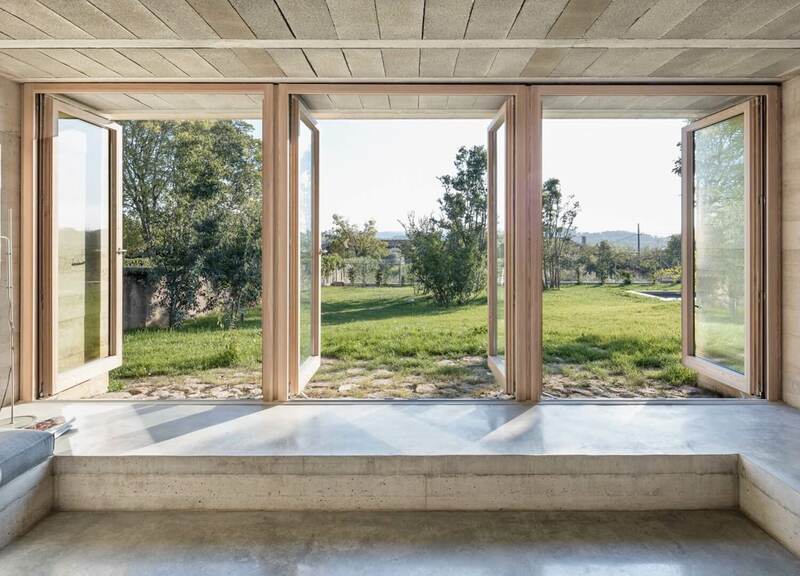 With this in mind, HARQUITECTES have built a new house that mirrors the shape of the original wall, providing a framing solution for the new block as well as maintaining the continuity of the block within the landscape. 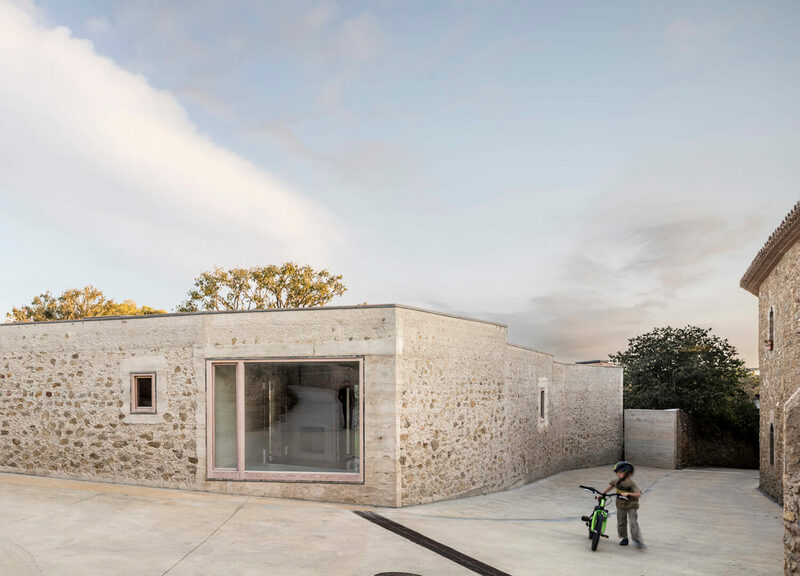 The new, very elongated house places all the spaces of the home on one level, adapted to the topography and new geometry of the street. 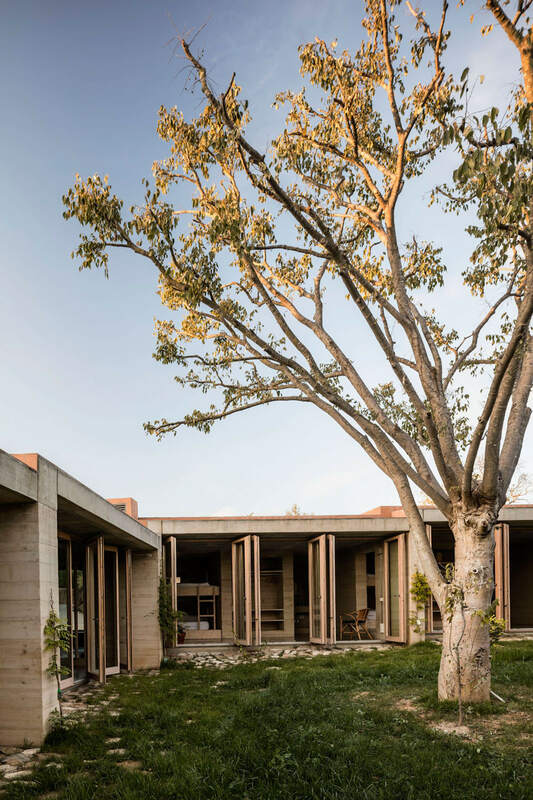 From the outside, it simply looks like the wall with some additional windows and doors – but from the inside of the block, the home acts as a bridge between the exterior and interior, shielding its inhabitants from the outside while encouraging communal indoor-outdoor space. 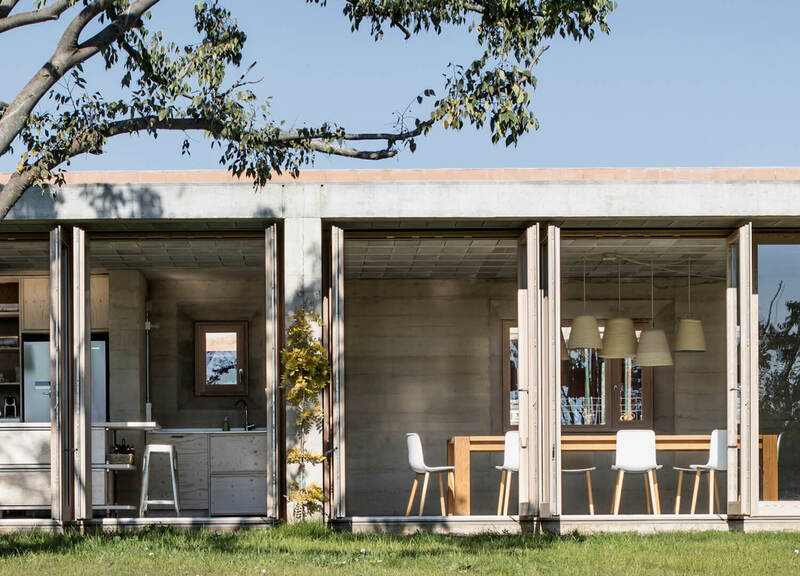 Instead of placing the house in the middle of the garden, HARQUITECTES used it as a “house-wall” to function as a fence. 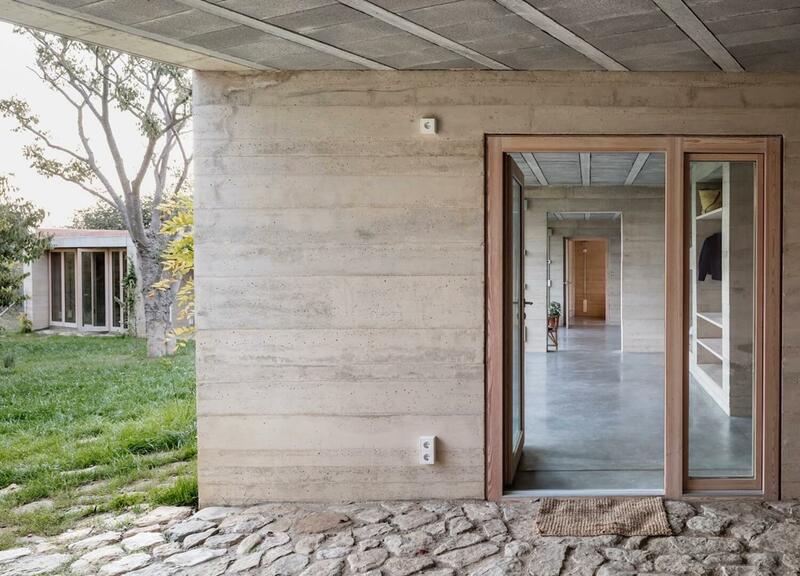 The new building follows the same material and construction techniques of the original wall – even reusing the original stones – while adding new materials such as limestone and cement to insulate the home and meet contemporary requirements. 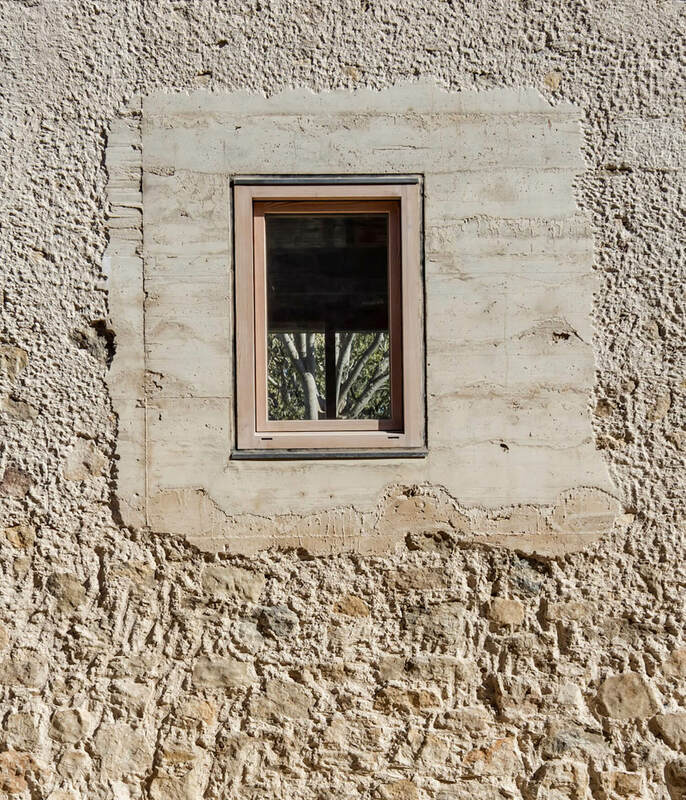 The outer layers of the wall facing the street are deliberately chipped to let the stone resurface, while inside the interior view shows the formwork finish. 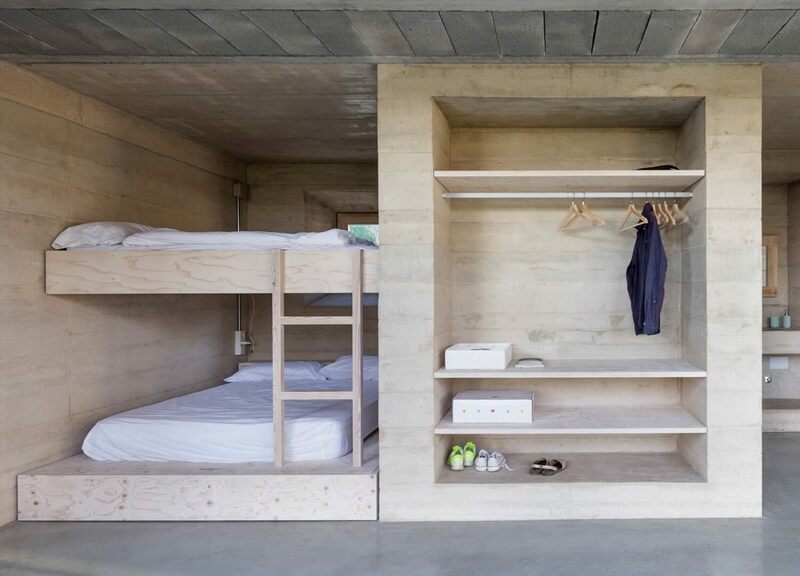 The wall’s thickness also helps to create seclusion in the more private spaces of the home – bedrooms, bathrooms, laundry area and so on. 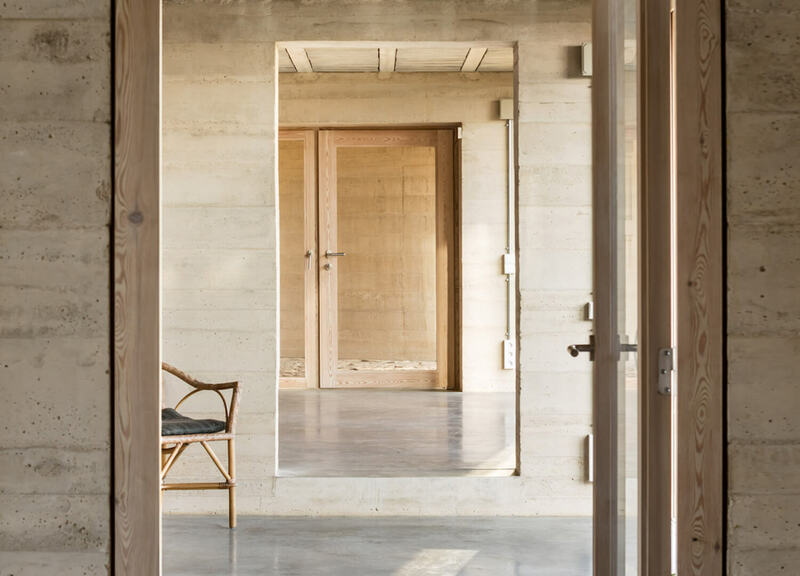 These areas of the home are subtly fractured from the larger communal areas in the layout, creating a sequence between the more domestic, central areas and the ‘wilder’, more exterior areas. 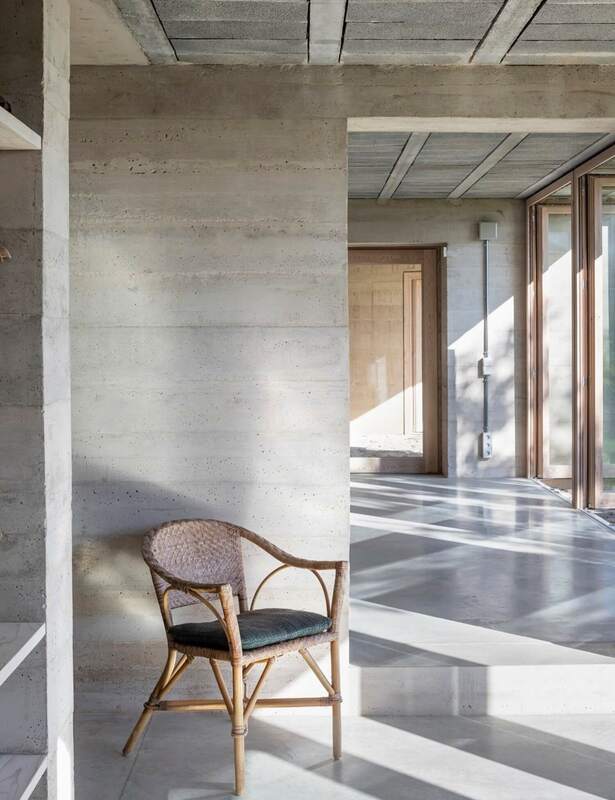 The home’s unusual layout also allows a long sequence of corridors to absorb solar radiation during winter, yet can be opened up entirely as porches connected to the garden in warmer months. 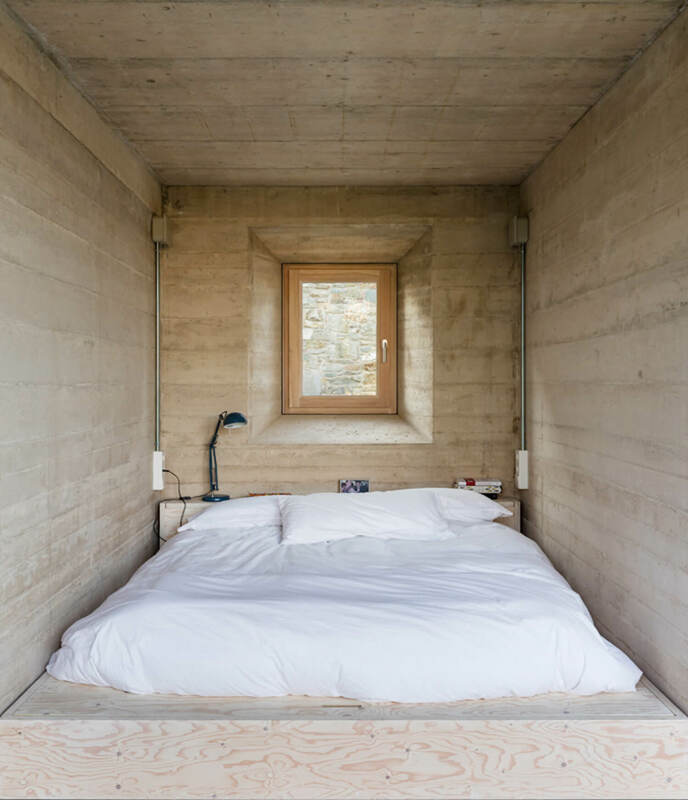 While having a thick stone wall encompassing a full side of the home might often be seen as a barrier to these elements, instead HARQUITECTES have considered how to use it to their advantage, creating opportunities for maximising light, space and warmth throughout. 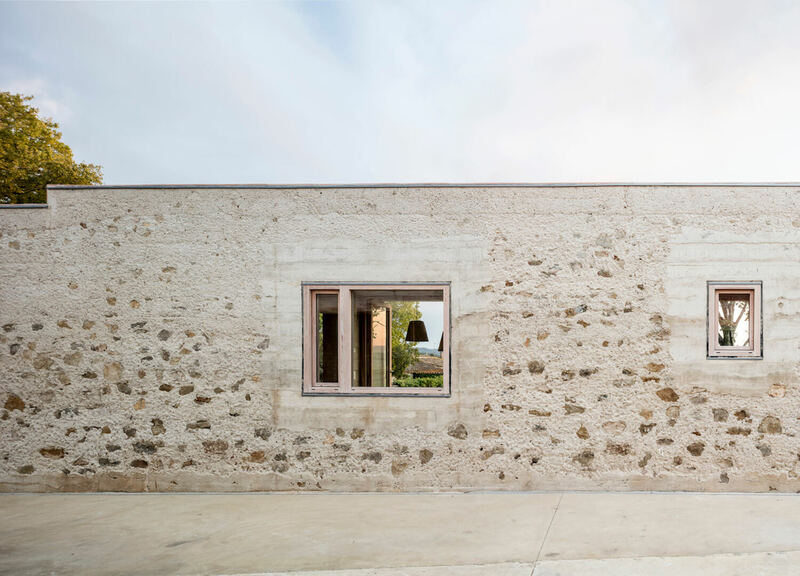 Paying respect to its heritage, the new home was constructed with the stones from the original wall – a visual nod to the traditional building materials and techniques while repurposing rather than buying new elements. 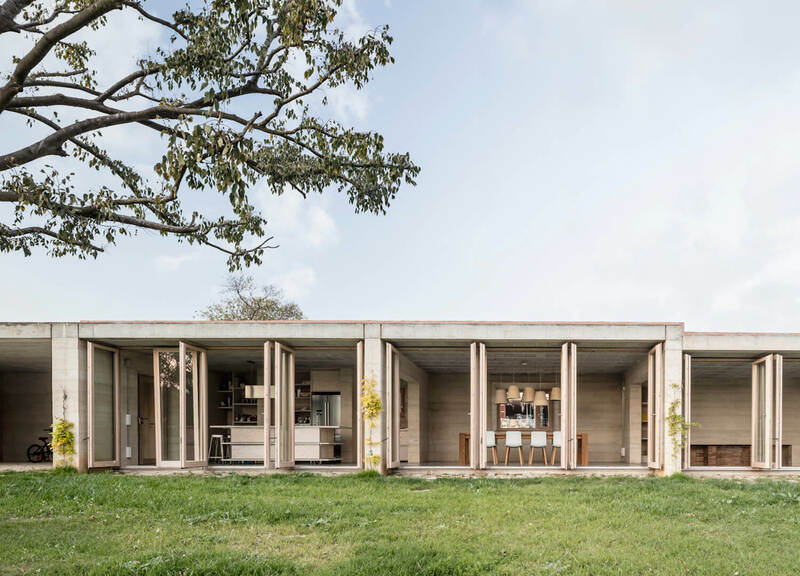 The post Casa 1413 by Harquitectes appeared first on Est Living Free Digital Design Magazine.